Valbruna Stainless is a global leader in stainless steels and specialty alloys. Founded in 1925, Valbruna employs 2,500 with an annual output of 200,000 tons. Premier worked with Valbruna to design and build this large distribution facility that includes multi-level loading docks with several large roll-up doors, covered outdoor areas and custom-finished interior office space. The operations manager for Valbruna, along with his selection committee considered several methods of construction, including tilt-up and precast, before deciding to contract with Premier Building Systems for a pre-engineered steel building. Several factors came into play, among them, the overall cost, aesthetics and a reduced construction time line. 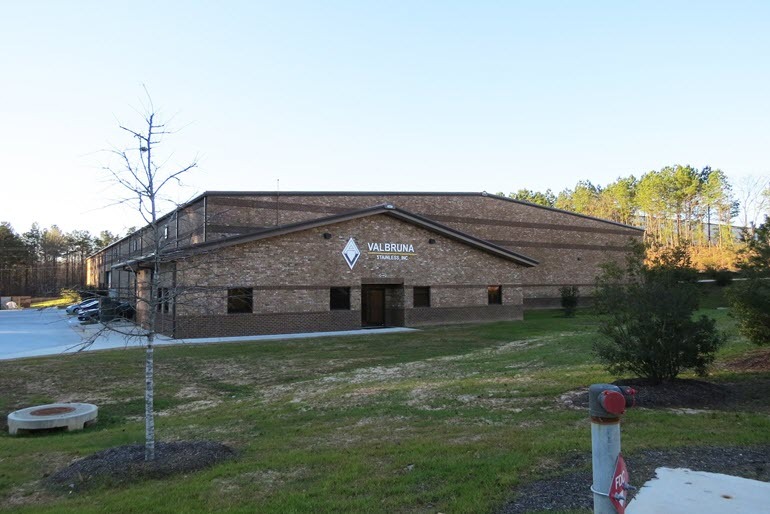 In the end, Valbruna has over 52,000 square feet including warehouse and fully finished office space to facilitate their logistics requirements throughout the southeast.